Then-Dallas Sheriff Lupe Valdez delivers remarks on the fourth day of the Democratic National Convention at the Wells Fargo Center, July 28, 2016 in Philadelphia. When Lupe Valdez won the Democratic gubernatorial nomination in Texas on Tuesday night, she became the first Latina and first openly gay person nominated by a major party for governor in the state. After a strong showing in the primary back in March, the former Dallas County sheriff narrowly beat Andrew White, son of former Texas Gov. Mark White, in the runoff election. Now the 70-year-old running on a progressive platform faces a tough fight against the well-funded Republican Gov. Greg Abbott in November — one many say she can’t win. Though it’s been nearly 30 years since Texas voters have sent a Democrat to lead their state, Valdez is confident. 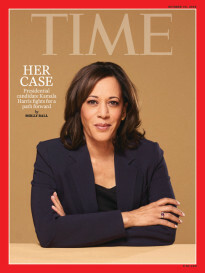 She talked with TIME this week about her historic candidacy, using discrimination as a stepping stone, and how she plans to swing the state. 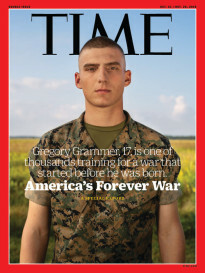 TIME: What made you decide to run for governor? Lupe Valdez: It was very clear that the everyday Texan was struggling quite a bit, and our governor was just more interested in the things for him and his friends than paying attention to the everyday Texan. So I wanted to make a change. The leadership should be about taking care of everybody. What was your win on Tuesday night like? I came from the poorest zip code in San Antonio. There were no paved streets, there were no sidewalks. Often you felt uncomfortable going to general things like school or football games because we were so poor. To come from that to being the candidate of a major party for the governor of one of the largest states in the nation, it’s just humbling. It’s extremely humbling. Even though this is a history-making moment for you, voter turnout for the runoff election was the lowest since 1920. What does that say about your mandate among Democratic voters in Texas? Runoffs are always a smaller amount. If you notice the numbers for the primary — the numbers for the primary were bigger than they have ever been. It was one of the biggest numbers. That doesn’t worry me. We’ve seen a wave of Democratic women winning races this year—especially in red states like yours. How do you think the political environment has changed for women candidates? When things start happening in a household, who takes over? It’s usually the mom, it’s usually the women who start organizing. Any disaster, anything that happens in the house, who takes over and makes sure that everything gets back into the way it can operate smoothly? In the primary, immigration activists raised some concerns about your record on immigration and did not like that your sheriff’s office complied with federal detention orders. How will you address those concerns? We have been addressing it. As a proven executive, I had to make some very hard decisions. And the decisions were always based on what is best for the whole. That decision that you’re talking about, I would lose funding if I had not made the decision I did. I would lose funding for several of the county agencies including the juvenile court, drug court, health and human services. It was an imperfect choice and no perfect decision could be made. But if we go back to the values, I have always, always, always fought for the undocumented. As a matter of fact, I have been fighting against the Texas law SB 4, and I fought against that way before I started running for governor. All along, we pushed for a path to citizenship for the Dreamers. This is the only country they’ve known. They’re productive, they’re part of our community, so of course I would use the bully pulpit for a path to citizenship for our Dreamers. So as far as the value is concerned, I was always there. The decision that one group was upset about was a decision that I had to make because there was no perfect choices there. You’ve talked about facing discrimination for being a lesbian woman of color while working in law enforcement in Texas. Is there a specific moment that stands out in your memory? I was in a situation where women were about to take [over as] management and a gentleman said, “I’ll be blankity blank blank if I’m going to take orders from someone who has to sit down to pee.” I remember feeling real humiliated, real embarrassed, because it was a room full of men. I remember thinking no one should be put in this situation. All of your incidents, all of your experiences can be used as a stumbling block or a stepping stone. I think it’s important that in all of my experiences, that I use it as a stepping stone. For instance, SB 4, we’ve put all of law enforcement in an extremely uncomfortable situation involving the trust of the immigrant communities. The immigrant communities will not talk to an officer now because they’re afraid of them. What we need to do is learn from our experiences and make sure that we don’t allow that to happen anymore. Candidates who are minorities are often forced to strike a balance between reaching for wide appeal and leaning into causes that their minority group is passionate about. How have you balanced this? Somebody said to me the other day, “You fit all the categories.” I was a federal agent, I was in the military, I was poor, I am Hispanic, I am LGBT, as a team we’ve fought against organized crime and on and on. We have more in common than we have differences. In my current position, it’s very easy for a lot of people to find something in common with me. The only people that I really couldn’t identify with is the upper 1 percent. And you know something, in the upper 1 percent, I would probably find something. I’m sure some of them have served in the military, I’m sure some of them have worked to get through college. So I shouldn’t even say that. I think that with everybody you can find something in common. In a state as Republican as Texas, many would say you’re still a long shot to win the governorship. How do you respond to that? Is it realistic for Texas to be competitive for Democrats this year? Everybody tells me it’s an uphill battle. But my response to them has always been: when hasn’t it been? When I was a child I went clear across town on a public bus so I could get a decent education. That wasn’t a cake walk. Was it easy when I was working two or three jobs to get through college? Was it a cake walk when I was in the military in a tank battalion? Was it easy when I took over a male dominated organization that did not want female leadership? I’m getting darn good at uphill battles. And I’m not done yet. I’ve got another one coming. We have been going out and listening to everyday Texans. You know the concerns of the everyday Texan is not where you go to the bathroom or show me your papers. The concern of the everyday Texan has to do with how are they going to get their child educated. The children of Texas have to compete in a global economy. How are we going to make sure that they get a decent public education? How are we going to send them to higher education? How are we going to get health care? These are the things that we should be concerned about. This is not a red state, it’s a non-voting state. And we need to get out there and get out the vote, talk to people, let them know that somebody is here fighting for them. I’m going to be their champion, I’m going to be their voice and I’m going to fight for them as hard as I can and that’s what is going to make the difference. I’m not going to be the governor of my rich donors, I’m going to be the governor of the people who are seeking for genuine, everyday life answers.